Are you getting enough cardio each week? The American Heart Association suggests a total of 150 hours of aerobic exercise every week, which is simple to do when you own a treadmill. Finding the right treadmill is no simple task as there are hundreds of choices, and not all of them are quality products. These seven treadmills make buying your machine simple by weeding out the ones you shouldn’t waste your money on and which can help you get fit quicker. Up to 10% Incline works different muscle groups and intensities. 20 prebuilt exercises developed by a certified fitness trainer. Full size 20"X55" tread belt. 60-in tread belt adds leg room. Incline up to 12% and a top speed of 12 MPH. Pause function saves your progress. Simplified unit folding and unfolding. Simplified LED screen & controls. Cushioning, rather than shocks, for added comfort. Unit folds for easy storing. Folds and uses rollers for added simplicity. Sleek, simplified design keeps unit small. Larger belt surface of 16" x 50"
One of the most noticeable additions of this device is the belt gets made for comfort with the FlexSet spacers. Beneath the walk belt are cushions which can get raised with the simple twist of a knob, or they can get lowered so that you are walking on a solid platform. The machine gets prebuilt with 20 preset apps. However, if that isn’t enough, it is iFit compatible, allowing you to download additional settings by Google Maps. Do you find yourself working the same leg muscles each time? 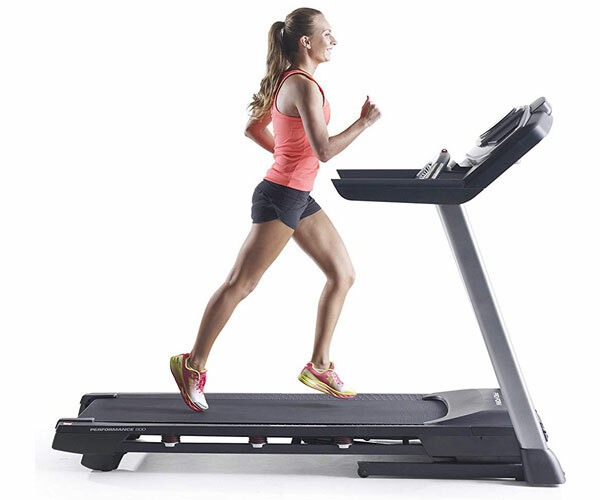 This treadmill can increase its incline to 10%, giving you a chance to feel the burn at home. The built-in 5” backlit display monitors your progress. There is no more walking until you drop, and the CardioGrip sensors allow you to track your heart rate. The controls have gotten simplified so that you only need to press buttons once. That means no more prematurely ended workouts again. Do you enjoy blasting some music while you sweat? Connect an iPod or similar device and hear your favorite tunes through built-in 2” speakers. NordicTrack covers your purchase with three separate warranties. Enjoy a 25-year motor warranty, lifetime warranty for frames, and one year for parts and labor. The model stands 55” tall by 35” wide, as well as 72” long. It can support up to 300 pounds, and at $599 it feels like a considerable value. Although there are comparable models regarding price, its comfort and functionality are defining factors. The incline and the comfort-oriented belt make working leg muscles simple. Monitoring progress is smooth, both during use and with a separate iFit subscription (not included). Its compact frame makes it straightforward to keep installed in virtually any room. Dense shipping weight of nearly 200 pounds. Difficult to get it through doorways before installation. Professional installations cost additional fee and set up takes upwards of four hours. The ProForm Performance 600i costs a little more than the NordicTrack T 65 S at $875.39, but you get your moneys worth with additional features. 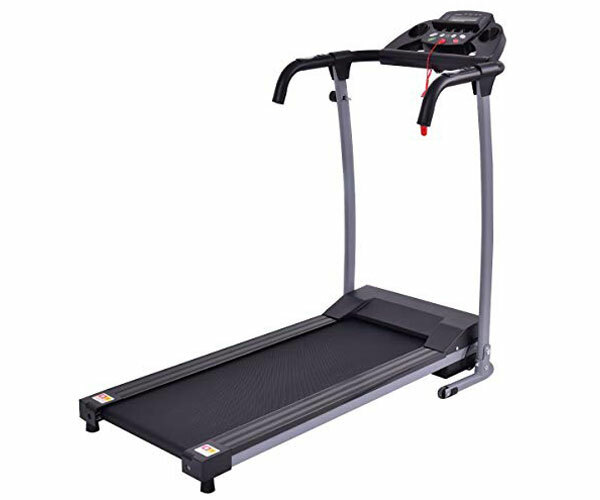 This treadmill offers both a steeper incline and faster maximum speed, allowing you to push yourself further than before. There are 22 pre-built exercise apps to choose from, each designed by a certified trainer. If you have an iFit device and account, you can incorporate it, as well as Google Maps for more features. Staying hydrated during your workout is simple with two cupholders, both broad enough to accommodate bottles. That is ideal for those users who sweat more than average or find it difficult to drink enough during exercising. Some joggers need a distraction, while others remain satisfied with moving. Whatever your preferences, the collapsible tablet stand can accommodate virtually any user. 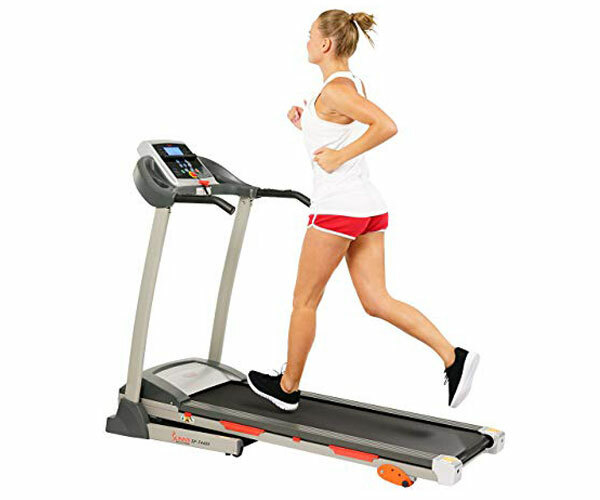 If other treadmills make you concerned that they wont support your weight, this unit has an improved capacity. At 325 maximum ponds, it is likely the ideal choice for those new to fitness as well as experienced athletes. The frame, parts, and labor do come with separate warranties. The frame and motor get covered by a lifetime warranty, while parts and labor have a 2-year and 1-year coverage, respectively. The EKG Pulse Reader accurately displays your current heart rate, allowing for safe and convenient exercise at home. When you need help keeping cool, just use the built-in CoolAire workout fan. Accommodates smartphones and tablet devices with included input jacks. The standard belt has improved 60-inch length for broader exercising space. ProShox cushioning makes for comfortable use, even at a 12% incline. The height and weight of the treadmill may be a challenge for some consumers. Initial activation pushes users to subscribe to an iFit account, which may be a turn off for some. Built-in speakers could use improved low-end and bass sounds. 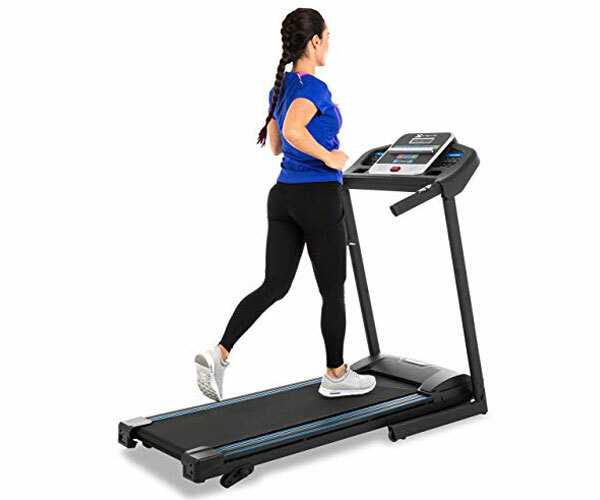 When you need a relatively affordable price and a decent selection of features, you might prefer the Sunny Health & Fitness SF-T4400 Treadmill. This middle of the road unit is accessible and provides more functionality than cheaper models. There are nine pre-set exercise programs to use, as well as three incline settings. Combine them all, and you can experience a full workout at home. A defining feature that is difficult to find in many treadmill options is the ability to pause your workout. Pressing the “stop” button once stops the belt while saving your current progress, ideal for bathroom breaks or unexpected phone calls you cant ignore. The large console is simple to read, and changing speeds is straightforward. You can either adjust it manually or select a preset speed for faster transitions. If you find reaching the console during use challenging, the handrails have controls as well. In addition to comfortable pulse monitor grips, you can adjust speed and incline, as well as starting and stopping from the bars. The included Soft Drop System makes folding and unfolding simplified. There are no more pinched fingers and difficult grip points when changing storage modes. Easy storing and unfolding settings make it simple to use and save without the hassle. Convenient controls from the handrails handle everything you need to adjust on the fly. Nine preset exercises and incline percentages of 0%, 2%, and 4.37%. The maximum running speed of 9 MPH may limit some users. The limited incline and programs may not be challenging enough for existing athletes. Smaller running belt and frame may be less accommodating for taller or larger users. The Weslo Cadence G 5.9 forgoes more features for a streamlined exercise experience. The lighter build does mean reduced overall weight capacity, at 275 pounds, but most users should feel supported even up to 300 pounds. Rather than measuring incline settings in percentages, there is a two-position setting instead. Although that may make it less accurate as far as tracking your regular progress, it does make for faster use. 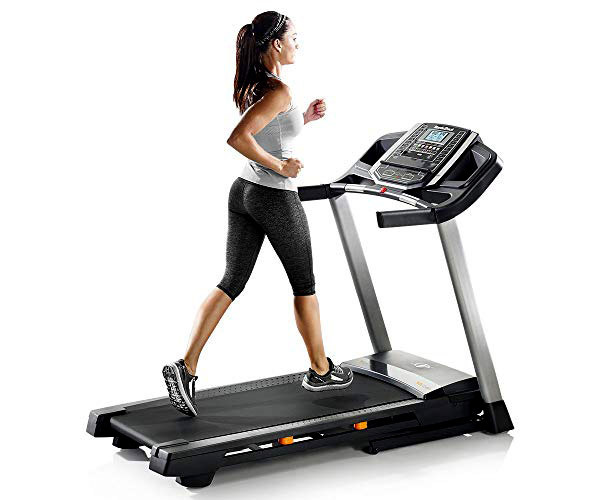 Other treadmills utilize shock absorbers under the track, but the Cadence G 5.9 instead cushions the belt. While it may not have as many preprogrammed apps, limited to only six, that may be all you need for this specific unit. The machine is much lighter than many other brands at 117 pounds. 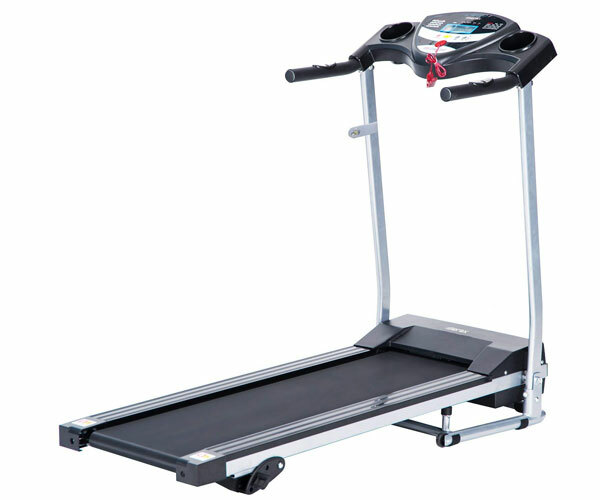 Although its dimensions are relatively standard, the treadmill folds for fewer storage concerns. The console and the controls get simplified to a blue-tinted LCD screen. Even though its not as spacious as other consoles, it does accurately display your time, speed, burned calories, and other essential metrics. Heart rate monitoring isnt just practical, but a safety concern. While whole-hand EKG grips can get frustrating, this model relies on a smaller thumb-only scanner. Users who value function over style will appreciate the sleeker, lighter design and options. And those who seem limited on living space will enjoy the fold-up storage feature as well. Lower sticker price than other models without sacrificing comfort. Easy storage solutions and a lighter unit for moving. A comfortable running belt and simplified incline settings place less strain on joints and muscles. Fewer apps and features than pricier models. Some users may find it feeling less durable than they anticipated. Limited console area and lack of device and water storage. The Goplus 800W offers an introductory price tag that makes it a top consideration for those starting their fitness journey. 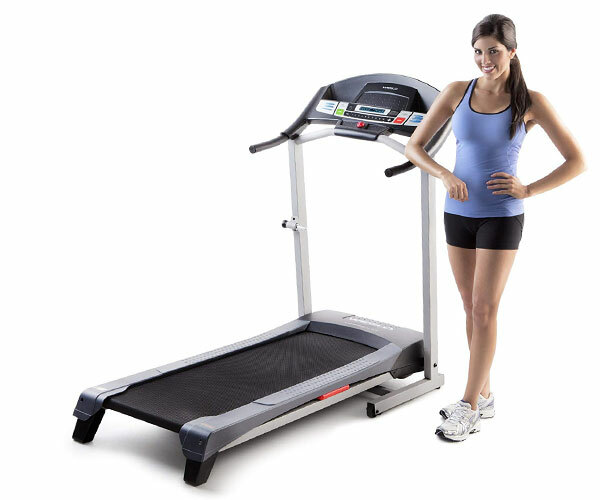 However, this affordable treadmill has many features that are ideal for many types of users. Its lighter build makes it simple to fold up, and it even ships in one piece in its collapsed form. At a weight of 59 pounds, this treadmill should be light enough for nearly anyone to lift, move, or set up. Although the console space appears small, there is a built-in holding space for tablets, smartphones, and other similar devices. Combined with 12 workout programs, you can exercise however you most prefer each time. The compressed console still provides lots of functionality, both for adding speed and monitoring your session. In addition to progress, heart rate, and burnt calorie checking, the button layout makes changes speeds and other features simple. If you are concerned about safety, users can both use the “stop” button or the safety key. Both are conveniently located directly above the handlebar. Despite a lighter, smaller frame, you can rest easier knowing you remain covered. The Goplus 800W provides buyers with a three-year warranty, allowing you to purchase more confidentially. Durable steel framing is surprisingly lightweight at 59 pounds. Affordable sticker price makes it a considerable entry into fitness. 12 exercise programs to keep your exercises challenging. The smaller running belt may not feel comfortable for taller users. No included incline settings; only support even surface use. A reduced top speed of only 6.5 MPH. The Merax JK1603E is another inexpensive, lighter model that focuses on faster assembly and use than bells and whistles. However, that doesnt mean that it wont produce results when enjoyed. Unlike comparable treadmill models, you can experience both preprogrammed exercises and optional incline settings. Although both are limited to three different settings apiece, it is impressive that it features any. Many users have discovered that just because a treadmill fold doesn't immediately make it easy to store away. The Merax JK1603E also includes roller wheels at the base, making it much easier to move, transport, and stow away. Although the running belt does not include external cushioning or shock resistance support, it became built with comfort in mind. Merax created a four-layer pad that creates a supportive bounce with each step. Tracking your heart rate is also straightforward with convenient monitoring from the handrails. You'll see the monitor where your hands naturally grip the bar, making for faster tracking. Some users may initially feel it doesn't accommodate their height correctly. However, the knobs on the side should solve the concern of many buyers. Although the features are limited, it still does more than other comparable brands do. If you are considering purchasing an entry-level treadmill that remains easy to store, you might want to consider this unit. Affordable price and several features to benefit from each session. Quiet motor and simple storage options. The cushioned belt uses four layers of protection for your joints. Only three programmed exercises and three incline settings. Taller users may struggle with repeated use comfortably. A lower maximum speed of 6.2 MPH. The Xterra Fitness TR150 combines a lighter frame and secure storage with the functionality you expect. At 114 pounds, breaking it down remains simple with the ability to fold the unit, as well as roller wheels for added convenience. Other affordable models have reduced apps, making for a substantial drawback for some. Even though this is a cheaper consumer model, you can experience 12 exercise programs and three incline settings. Most lighter, more affordable treadmills achieve their benefits from a smaller walking belt space. However, the Xterra Fitness TR150 has a larger area built with comfort in mind. The belt measures 16" x 50", and XTRASoft cushioning. Youll see that the surface gets designed for comfort without shocks or additional cushioning agents. A defining feature of this treadmill is its motor. The unit boasts a quiet 2.25 HP motor that produces a maximum speed of 10 MPH. The larger console is well spread out, and the buttons make program adjustments straightforward. The 5” LCD console has a resting holder for smartphones and tablets, as well as preset speed adjustment keys. The handgrips contain the pulse monitors, making checking in simple. There no need to grip the center bar again, creating a more comfortable use. Easily folds and rolls for convenient storage options. Expanded console make users feel comfortable from the first time. 12 preset programs and three incline settings create convenient fitness challenges. Incline settings may not go steeply enough for some users. Limited 90-day warranty for parts and labor. Little to no water bottle holding space. While all of these treadmills offer some convenient functions, first-time buyers need a middle of the road, a one-size-fits-all approach. As someone who plans on getting in shape from the comfort of your home, you deserve the right combination of price, ease of use, and functionality. The Sunny Health & Fitness SF-T4400 Treadmill strikes an even value across the board. It costs a little more than the cheapest units, but its still more affordable than many pricier options on the market. The reduced sticker price may compromise some features, but you still receive several preset programs as well as at least some degree of inclination. There are enough built-in features to create a unique workout experience with each use. Although the price is a little more than the other foldable treadmill units, the SF-T4400 folds easily. The built-in Soft Drop System prevents slips and falls, as well as pinched hands and fingers. The ability to temporarily pause your workout allows it to stand out from the rest of the units on this list. Even the pricier, more durable treadmills do not offer a pause function, forcing you to quit early or push yourself to continue until the end. Controlling virtually everything from the handrails is another win for this model. Although it may not be the last treadmill youll ever buy, the focus on convenience and accessibility makes it the best purchase for nearly any type of user. Whether you are new to getting fit out or youve remained active for years, you will likely find something beneficial from the SF-T4400. When you need the right mix of value, style, and function, its hard to beat this treadmill at its $399 price tag.